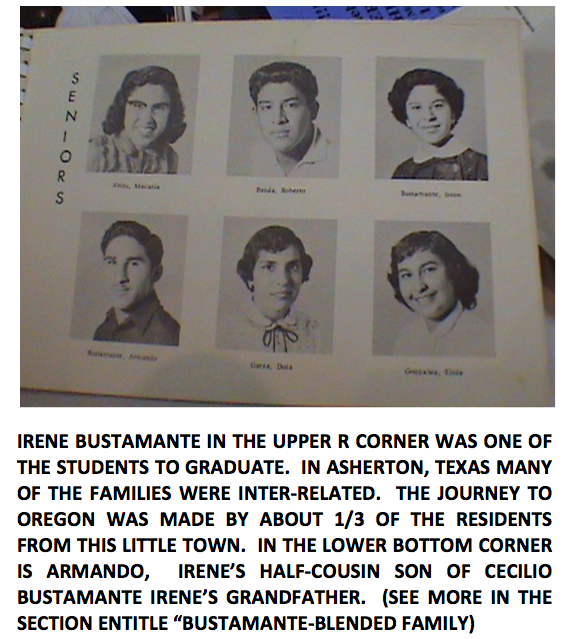 Irene Bustamante (Johnson) who has lived in the Oregon, Washington area for more than 50 years recalls her trip to Oregon in 1953. 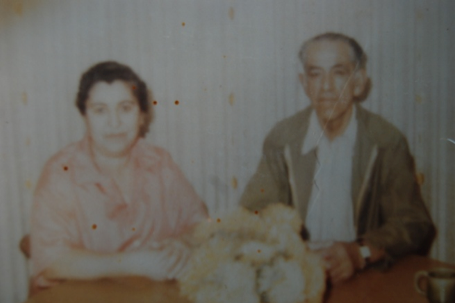 Below are her parents Francisco (Chico) and Amelia Bustamante. Paul, Oregon are words that are synonymous with the development of this small town. Chico and Amelia Bustamante brought their entire family in one small truck with the signature cover of a migrant pickup or truck a “CANVASS COVER” secured with rope and other tools used for traveling in a caravan. Hi Miguel, it is difficult to imagine our trip to Oregon as most of us were traveling in the back of my dad’s truck. I know we travelled in a caravan and we spent the nights sleeping on the side of the road. Dad stopped at grocery stores and bought lunch meat (probably bologna); bread and mustard for sandwiches, and sodas. He drove a pickup and put some type of canvas over it and we kids stayed warm in the back of the pickup. At least I don't remember being cold. I remember going thru New Mexico and I was so impressed with Albuquerque for some reason (maybe because it is known as the land of enchantment; indeed it was that and more). I know Dad got lost at some point and someone came back and pointed him in the right direction. When we got into Central Oregon, we were in awe of the beauty....the snow...the tall pine trees. I know driving through the snow was probably hard for my dad but he managed. I believe that the highway maintenance crew probably did a good job of keeping the roads clear. I don't remember who was in the caravan. I believe it was one of the Bustamante brothers but I don't remember which one. I wish Dad was here to recount the stories. 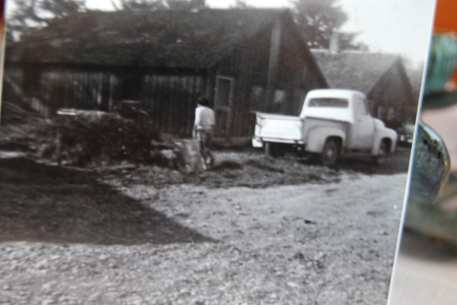 I know that we stayed in a two room migrant housing just off the main road that runs north and south from St. Paul. 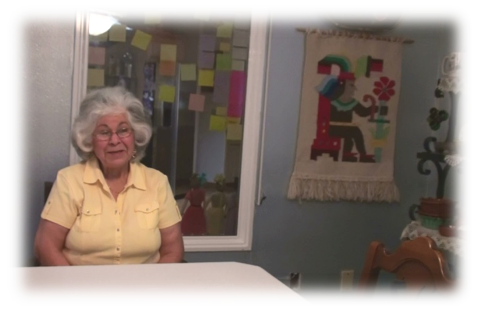 My dad went to work "en el jape"… if our families from Cheto were not well acquainted with the work in and around St. Paul..”el jape” stuck to our vocabulary. 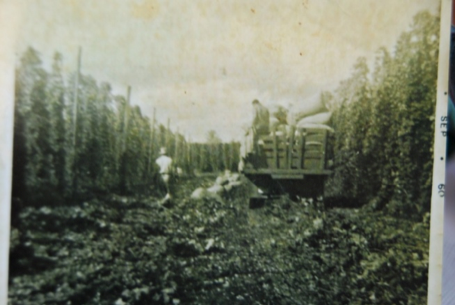 The large yards and the tall plants probably impressed us the most; besides it was the last product we harvest before going back home to Asherton or perhaps make one more stop along the way to make a few more dollars..so that we could “INVIERNAR” (stay during the winter season) in our home town once again. As soon as we arrived to St. Paul dad would put us kids in school. This was 1953, and Albert went to the St. Paul High School while Connie and I went to grade school. My experiences as I remember were good. My brother Henry would be one of the first students from Asherton to graduate from St. Paul High School in 1964. Our parents valued education and we are lucky to have had their support during a time period when finishing high school was out of reach for most kids. Thank you for your perseverance. I know you and your family have a reserved place in heaven waiting for you. Dios los bendiga! (God bless you). Since arriving to Oregon in the early 50’s I have have had the pleasure of meeting 90% of all Ashertonians give or take a few. There is no doubt that the Tejano blood is unique as all these families come from a state whose name is Tejas and the significance of the name is Friends. Irene is an excellent example of this state which underwent many changes since the Treaty of Guadalupe in 1848. “De tal palo tal estilla..(the apple doesn’t fall too far from its tree). She exudes her parent’s qualities and I am privileged to be in her circle of friends and family. Mil gracias Irene! VISIT THE GALLERIA OF MIGRANTS AS THEY ARRIVE AND WORK IN THE MARION COUNTY AREA AND PARTICULARLY ST. PAUL OREGON. Thank you to the many families who have shared their photos and stories. There are 50 more stories which will be added later. IN THE FUTURE - A more in depth interview with Irene will appear in our website.